Family owned and operated for over 45 years in South Florida. Licensed and insured. We put EVERYTHING IN BLACK AND WHITE. We are a professional tree service and landscape company. We are family owned and operated. Licensed and insured. We have bucket trucks, chipper trucks, stump grinders and a great crew. 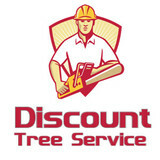 Discount Tree Service is owned by Alex Salgado who has been in the tree service business for many years. His father currently works in the Miami area as one of the top tree companies. Following his dad's footsteps, Alex is working on becoming the best tree servicing company in Ft Lauderdale and the entire Broward County area. Discount Tree Service was founded in 2004. They currently offer everything from tree removal, trimmings, pruning and stump grinding. No job is too big or too small for Discount Tree Service. Xtream Stump Grinding is a full service stump removal service located in Margate, Florida serving the surrounding areas. We specialize in removing large stumps for commercial and residential clients. Serving Broward County. Including Margate, Fort Lauderdale, Sunrise, Parkland, Coral Springs. To keep your property free of tree debris and looking great, leave the heavy lifting and precarious work to Castle Tree Art. You don’t have to wait until the storm hits your property; take advantage of our services today. Call 954-931-0735. We offer hurricane preparation, including tree trimming, hazardous tree removal, limb removal, and tree bracing. Take advantage of our 3 company trucks, Bobcat excavator, and an aerial lift for tree removal, root pruning, tree trimming and shaping, and stump removal and grinding. Coco Tree Service Corp. staff includes well qualified and talented key personell. Our climbers are well established, and pride themselves on hard work and safety. Coco Tree Service Corp. is licensed, bonded, and fully insured. Our staff members work diligently to ensure that our customers needs are met to the fullest. Accidents do happen, and Coco Tree Service Corp. stands behind all of our work. Welcome to the Done Right Tree Service website. We are a full service company that can handle all of your landscaping needs. We have been in business for more than 20 years in Dade County. We are under the supervision and technical direction of a Master Gardener. We have provided quality services to our clients with satisfaction exceeding the client's expectations with an unmatched level of professionalism. 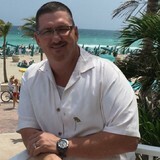 Servicing Broward County for over four years with 13 years of experience! A complete one call does it approach to tree and landscape maintenance for homeowners here in South Florida. With decades of experience in the management of trees, our Certified Arborists understand every facet from start to finish. Our team will put together a consultative tree and shrub plant heath care program that’s right for you! Susan Knight started this business venture in 2012, along with her husband Frank, after having worked with other storm debris removal companies since Hurricane Andrew in 1992. "We wanted to be able to help storm ravaged communities, here in South Florida and throughout the country, to start rebuilding their communities and their lives as soon as possible." With the help of Susan's parents, Richard & Sandra Fankhauser, owners of Sunshine Alpacas in Sebring, Florida, they were able to purchase their own equipment. As residents of South Florida for more than 40 years, we understand what the force of a hurricane can do, and the amount of debris and damage it can cause. We now have the equipment and resources to be the first responder on the scene to handle debris removal caused by Mother Nature's fury, including hurricanes, tornadoes and floods. Our primary focus is bringing honesty, integrity and professionalism to the storm debris removal industry. Our experience from Hurricane Andrew, to Hurricane Sandy, allows us to provide a timely response to any immense event. During Hurricane Sandy's clean-up of storm debris in New Jersey, we implemented a program called Operation Clean Sweep (OCS). This program involved a separate crew that raked and swept up final remnants of debris at residential homes. This added a personal relationship with the victims that were impacted by the storm. Most recently we were contracted to help with the clean-up from the Winter Ice Storms in South Carolina. Our inventory of equipment include a Bucket Truck, Grapple Truck, Dump Trailers, Bobcat, chain saws, generators and camper trailers to provide housing for our staff. These elements allow Camelot Debris Removal to mobilize usually within twenty-four hours. Hire us for all your tree services and needs! Big Dawg's Tree Service & Stump Grinding is a complete tree service company providing customers with outstanding work ethic, competitive prices, and prompt attention. Our Miami tree company only uses safe well-maintained state of the art equipment to accomplish all your tree service needs. We service numerous clients throughout Miami with our tree services such as cutting, pruning, trimming, stump removal, and grinding. We offer a 24-hour assistance program for the unexpected emergencies. Your Pembroke Pines, FL tree service professional or arborist might work in conjunction with another landscape professional to create a seamless landscape design. Here are some related professionals and vendors to complement the work of tree services: Landscape Contractors, Landscape Architects & Landscape Designers, Garden & Landscape Supplies. Find tree service professionals on Houzz. Look in the Professionals section under Pembroke Pines, FL tree services. You can look through portfolios and read reviews to see what past tree care clients have to say.